It's Christmas! Okay, I'll make this fast. I just really, really wanted to get some shots of my enormous Christmas Trifle that I'm bringing along to the family lunch today! Isn't it glorious? And made in a very short amount of time and with no oven. I'm finally moved into my new house and only just got my oven installed a day or so ago, so I went with the store-bought jam rolls this year. I'm not ashamed, like I've mentioned before I think that trifles are one of the few places where store-bought sponge is totally acceptable! 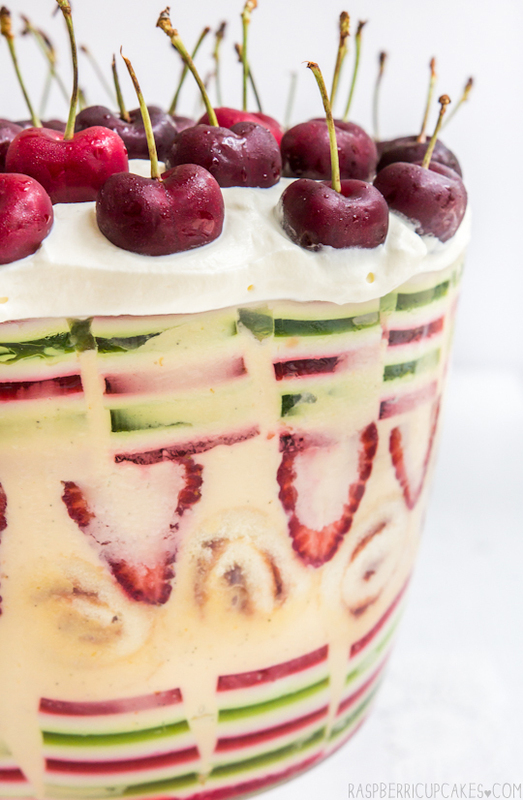 So what's in this trifle? I kept it quite simple except for the pretty, pretty jelly. I was inspired after seeing the Pioneer Woman's Christmas Finger Jello recipe, and decided that it would be the perfect decoration for the jelly layer of my trifle this year. It takes a bit of time and patience but it was totally worth the effort. I sped the process up by setting my jelly in my huge new freezer (YAY). Since we don't get the magic of a white Christmas here in Australia, I needed to at least celebrate the wonderful summer fruit that we have available at this time of year. 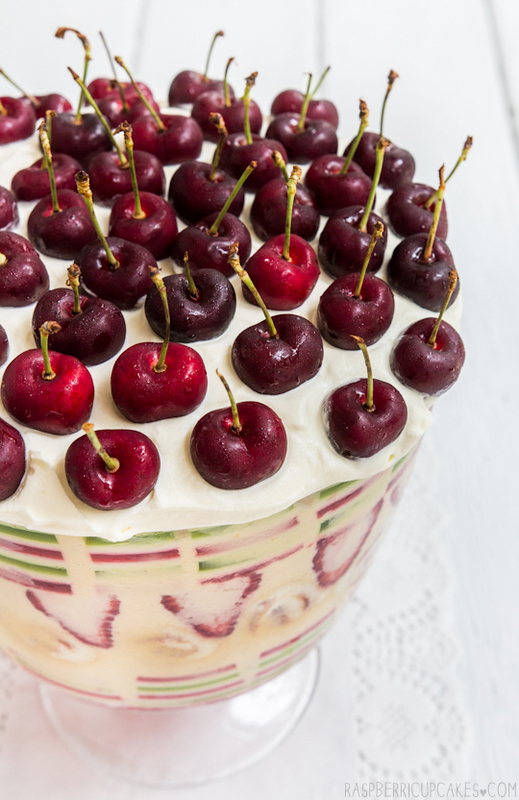 So there are super sweet strawberries in the middle, and lovely fresh cherries on top. And of course lots of vanilla bean custard (definitely not store-bought) and freshly whipped and sweetened cream. To assemble: Cut jelly into cubes and arrange in a single layer, top with a layer of custard (about half of your custard). Cut store-bought mini jam rolls into thirds and arrange in a single layer. Top with a layer of fresh halved and hulled strawberries. Cover with another layer of custard and another layer of jelly. Chill overnight. Before serving, whip 2 cups of thickened cream with 1/4 cup icing/powdered sugar to soft peaks and spread over the top of the trifle. 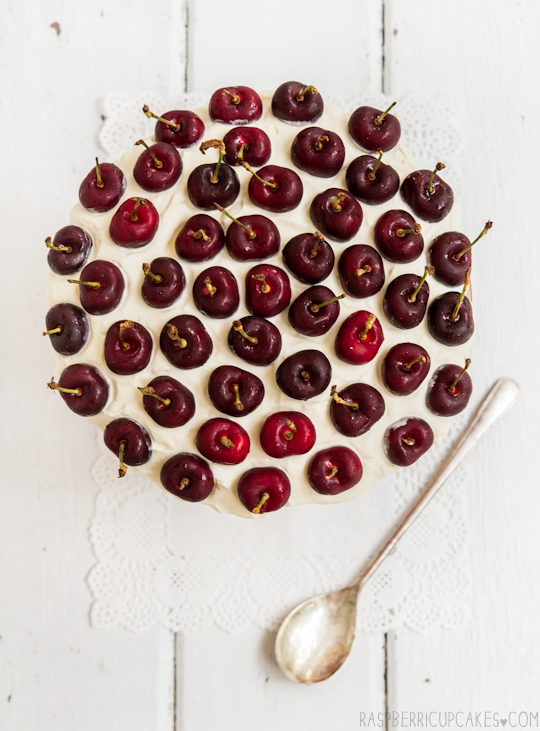 Decorate with fresh cherries. This looks super festive, I love the jelly fingers idea, every year I think about making them but I just don't know if I have the patience! Yum, that looks wonderful :) Merry Christmas! Looks really good! Totally jealous of your summer fruits. 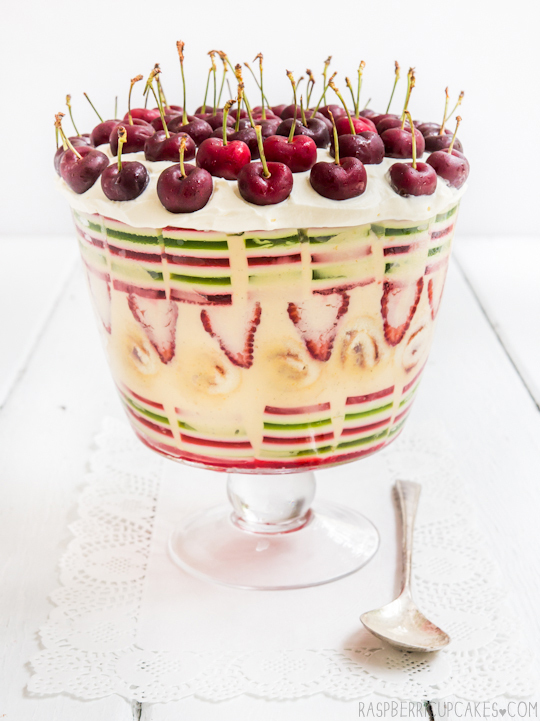 You totally rocked this trifle!! Awesome! So cute! And I love the rainbow jellies! This could be the Christmas centerpiece! WOW. What a wonderful thing! I love it!! Yes absolutely, you can use any fruit that's in season. 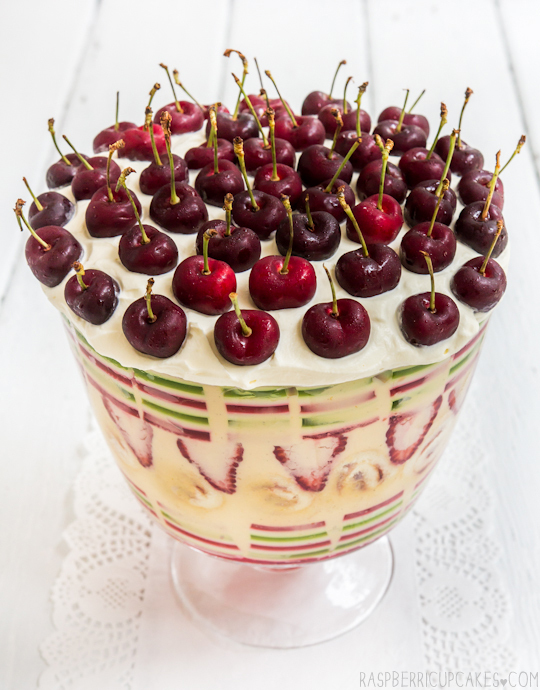 You can also used canned cherries or frozen strawberries. Love the layered jelly!! Where does your trifle bowl come from? I want!